Paratesticular embryonal rhabdomyosarcoma (RMS) in a 5 y/o male. 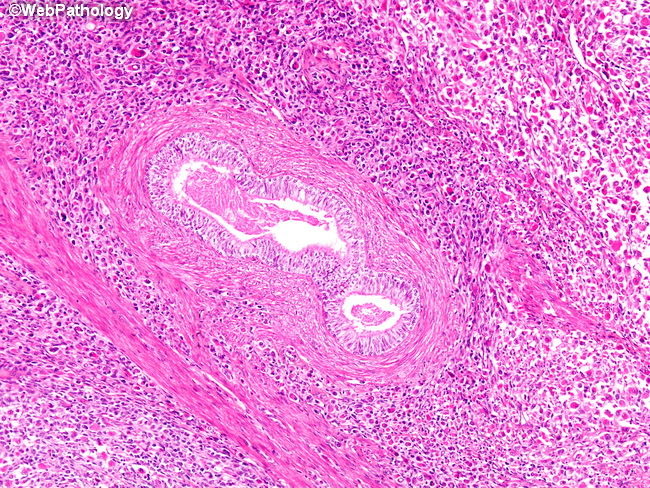 The tumor surrounds tubules of epididymis. It is composed of small poorly-differentiated cells with scant cytoplasm admixed with round rhabdomyoblasts containing abundant brightly eosinophilic cytoplasm.